Pitlochry exceeds many popular expectations as a destination for Perthshire golf breaks. Its own, first-rate course is highly respected and included amongst the most prestigious in the county of Perthshire and, indeed, in Scotland. Additionally, within a reasonable drive of the town, there are numerous courses which offer variety and challenge to players from across the entire spectrum of ability. 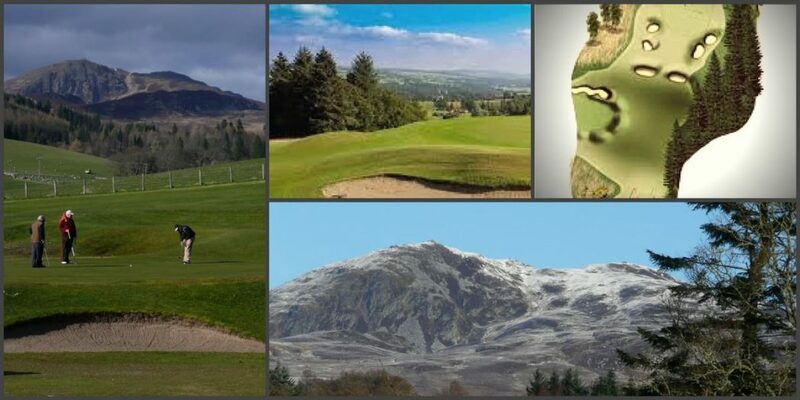 Finally, if you are considering golf breaks Pitlochry, you might like to learn more about the Pitlochry course, itself . . . . .
At a modest 5692 yards in length, the par-69 Pitlochry Golf Course does not figure among the longer courses in Scotland. However, it is unquestionably among the most scenic and historic. 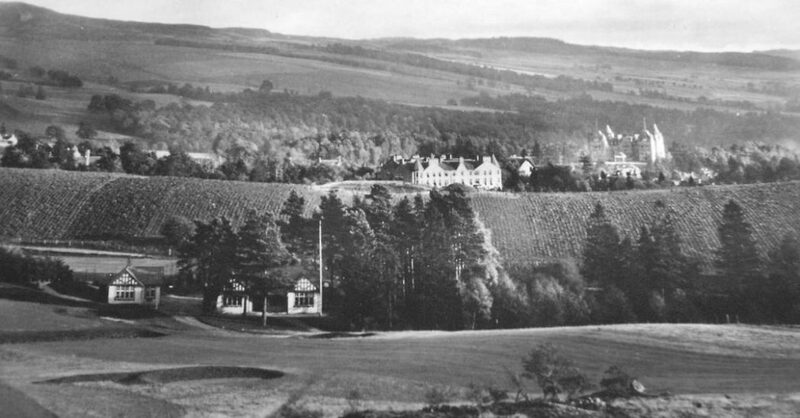 Originally designed and constructed in the early 20th century on the banks of the River Tummel, it comprised only 9 holes centred around what is now the Green Park Hotel. It was a local ambitious landowner, Colonel Butter of Cluniemore, who in 1908 leased the required amount of land for a full-length course to Pitlochry Golf Club Ltd. The course was constructed in that year. Even a cursory glance inside the clubhouse vestibule will remind you in photographs that the Club has this noteworthy pedigree. It stirs the imagination to muse upon the lives of the gentlemen golfers attired in plus-fours and the ladies in Edwardian dress. Fail to Prepare . . . .
For those of you who like to limber up before commencing your round, there is an excellent driving range situated adjacent to the clubhouse. The Pro-Shop offers the usual array of golfing equipment and the resident Professional offers lessons if required. 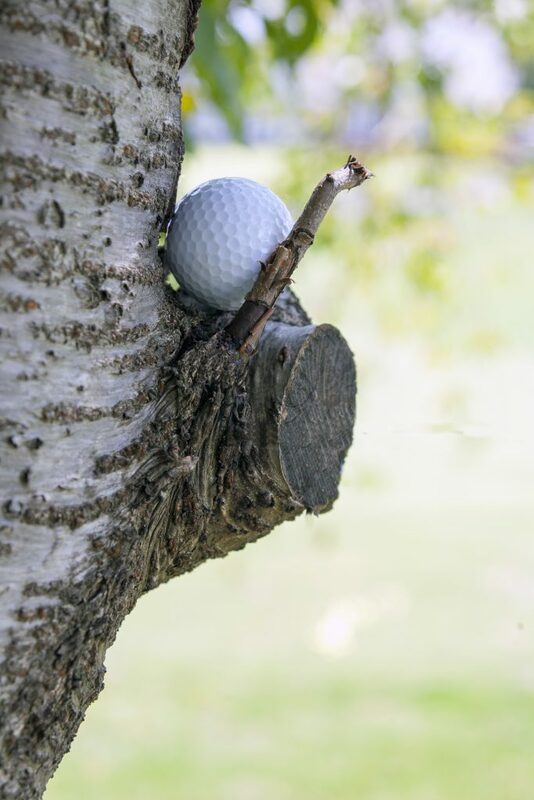 The first 3 holes at Pitlochry represent quite a challenging test of stamina as well as golfing prowess, especially for those among us of a certain age. However, when you finally arrive at the 3rd green, you will be greeted by one of the finest views in Perthshire. A stunning panoramic view extends across the Tummel Valley with the river meandering its way peacefully across your field of vision. Do try to avoid going into any of the three bunkers to the right of the green, an error which can prove costly. As you stroll up the testing par-4 5th fairway to a hidden elevated green, you may be fortunate enough to see deer, sometimes in pairs or threes, emerge from the woods to watch you play. Flocks of oyster catchers are also not uncommon nor the occasional buzzard high in the sky above you. To your right on this same hole and behind a dry-stane dyke, (frae wikipedia . . . . A drystane dyke or dry dyke is a waw that is biggit frae stanes athoot ony lime tae bind thaim thegither) lies dense pine forest, another repository for stray balls. You may also observe groups of hill walkers ambling along a parallel path on their way to the top of Craigower, a popular hill walk from the summit of which there are also spectacular views. If you have survived as far as the 5th green with a respectable scorecard, you’re doing well as the course then becomes a little more forgiving and while perched on the 6th tee, you may be aware that you are starting to descend rather than ascend. By the time you reach the green on the dog-leg ninth hole, the distinctive red-tiled roof of the clubhouse will be clearly visible. It is not until the 16th that you will meet the short par-3 which has proved to be the graveyard of many a hitherto good medal round. You are faced with out-of-bounds to your right, thick rough in front of you from tee to green and a selection of trees to your left ready to catch any errant iron shot. And did I mention the bunkers which protect the green on three sides? The 18th hole is among the favourites with members. Immensely pleasing should your second shot find its way on to the putting surface, the green is nevertheless guarded by bunkers both left and right and there is a small burn which runs across the entire width of the fairway. If your second (or subsequent) shot ends up in this burn, it is the custom to place 50 p. in the bucket, conveniently located by the edge of the burn. All monies so collected are given to charity. Many visitors choose to hire one of those battery-powered golf buggies for their round. I would suggest, however, that if you want to fully appreciate the wonderful landscapes and majestic scenery offered at Pitlochry Golf Club, then the best mode of transport is Shank’s Pony. The après-golf is important too. When your clubs are safely in the boot, you can relax in the spacious clubhouse lounge or sit out on the large verandah which overlooks the 1st and 18th fairways. The clubhouse offers a wide range of snacks, meals and drinks. There is also easy wheelchair access to the Club. You may want to order a ‘John Panton’, a wonderfully refreshing drink comprising angostura bitters, ginger beer and lime cordial. The drink is named after the famous Scottish professional golfer and Ryder Cup player, who was born in Pitlochry. 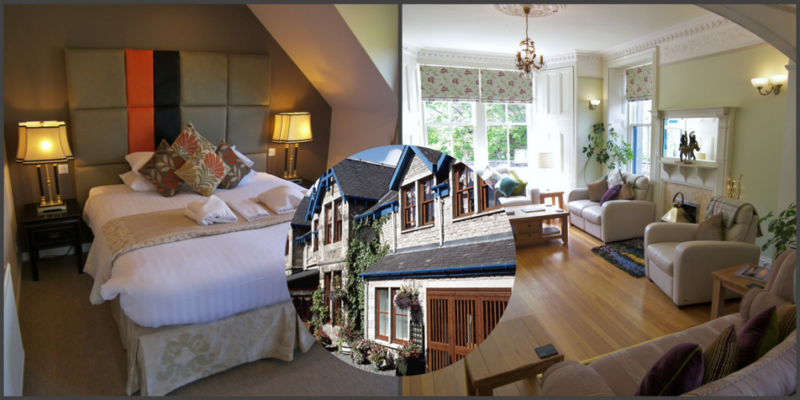 With a combination of great value Pitlochry hotel offers, close proximity to Pitlochry Golf Course, central location the the complete range of Perthshire Golf courses, flexible mealtimes, well-stocked bar and friendly obliging staff, Rosemount Hotel has a great deal to offer the golfer as a holiday destination.